Nepal is famous all over the world because of its natural and cultural exploring opportunities. Nepal is a beautiful and fascinatinig country, and this tour has been designed to give you a taste of many of the country’s highlights, without featuring any strenuous trekking or white water rafting activities. 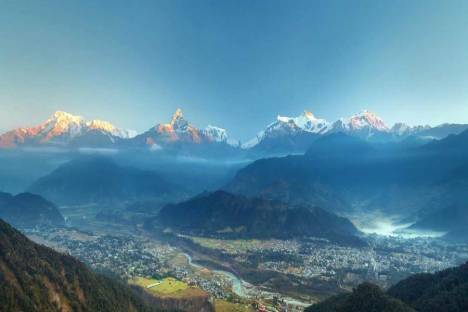 Nepal Highlights Tour takes you to Lumbini, the birthplace of Lord Buddha, to Tansen, the most beautiful town of Nepal, to the Chitwan National Park, a home to the Royal Bengal Tiger, to Sarangkot, a famous viewpoint of Nepal, to Godavari, a famous botanical garden of Nepal, to Pokhara, a city of geographical wonders. 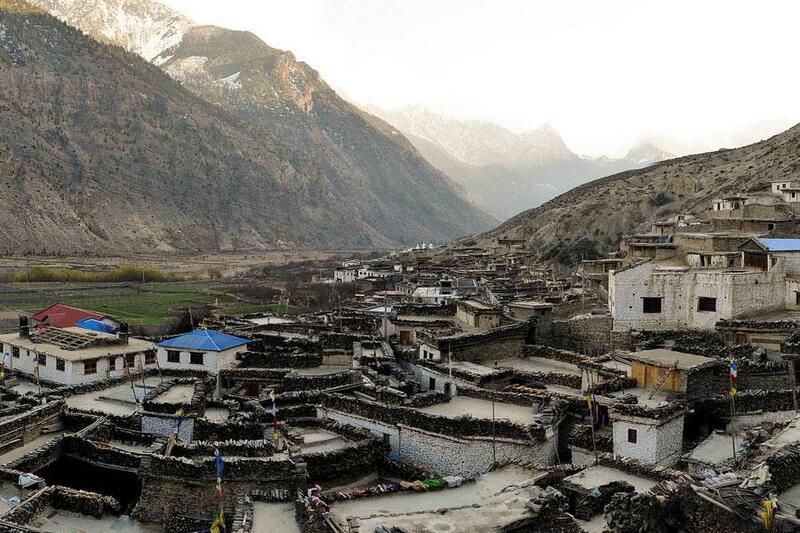 Nepal Highlights Tour is a great chance to visit and explore all the diversified culture and abundance of natural beauty that small Himalayan country Nepal has to offer. The Nepal Highlights Tour take you to three completely different places (Kathmandu, Pokhara and Chitwan) which best described Nepal. Kathmandu, the capital city, is a perfect mixture of the modern and the traditional, with it’s numerous temples and modern malls. Pokhara is a lake town and a perfect getaway from the busy and chaotic city life in Kathmandu with a perfect view of the Himalayan. The jungle safari in Chitwan National Park. Home to the Bengal tiger, rhino, elephants and a huge variety of fauna and flora, Chitwan is one of the biggest national parks of Nepal. We will organize for you a day tour of four amazing UNESCO World Heritage Sites. These include the sacred Hindu temple of PashupatiNath, the interesting ‘Monkey Temple’ (Swayambunath), BauddhaNathStupawhich is one of the largest stupas in the world and we will visit Patan Durbar Square Patan, which is a marvel of Newa architecture. The Square floor is tiled with red bricks. There are many temples and the royal palace where the Malla Kings of Lalitpur resided. After your breakfast, a private car will drive you to Pokhara. Situated in a picturesque location by the side of Fewa Lake with the Himalaya range in a background, this city is renowned for its peaceful atmosphere. 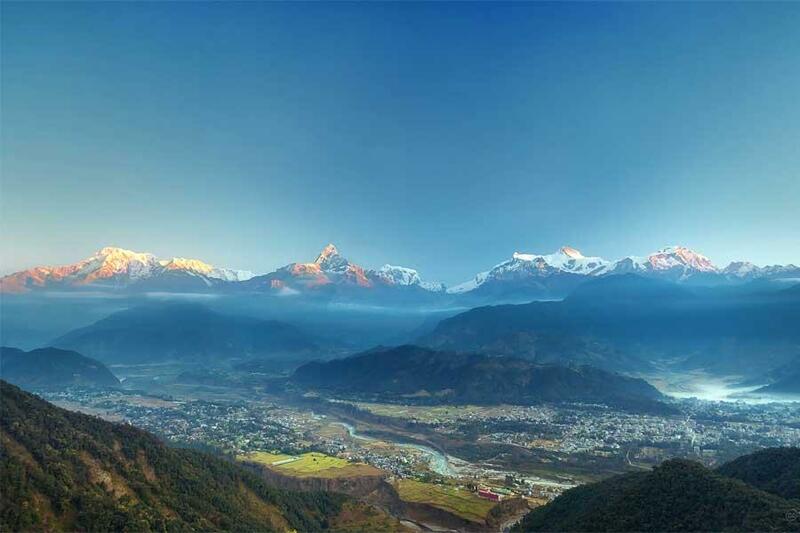 Moreover, the way to reach Pokhara will bring you through greeneries, local villages and beautiful mountain scenery. Once upon arrival at Pokhara, you could have a rest in your hotel before to join your guide, who organized a boating tour on the lake. The natural beauty of the lake and the surrounding area will amaze you. Today, we will wake up early; your driver will bring you to Sarangkot. Perched at 1,592 meters of altitude, Sarangkotvillage provides a good viewpoint to watch the sunrise on the Himalaya range. After this majestically time, we will drive you back to your hotel for your breakfast. 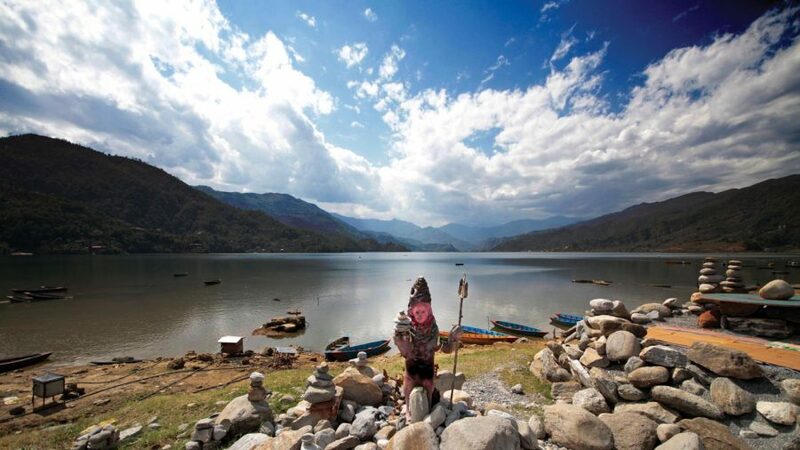 Afterward, your guide will organize visits of Sightseeing in Pokhara. You will discover the natural and curious Davis fall, which the water forms an underground tunnel after reaching the bottom; you will also visit the Mahendra Cave, which is a large limestone cave. It is a rare example of a cave system in Nepal containing stalagmites and stalactites. Finally, you will visit the International Mountain Museum. The objective of the museum was made to record, document and chronicle the past and present development of mountaineering activities in the world in general and to preserve the saga of the momentous feats in the history of mountaineering in the Himalayan peaks in particular. After your breakfast, you will leave the charming Pokhara city to Chitwan National Park, which provides a great variety of fauna and flora. After settling in your hotel, you will assist to a briefing about the next day in Chitwan National Park. DAY 6 – Full day in the jungle. Today you will spend all your day in the middle of a jungle vegetation, where there a great variety of fauna and flora. On the back of elephants you will discover this national park and could be lucky to observe some unicorn rhinoceros, bengal tigers, monkeys, rare and colourful birds, deers… You will also enjoy the area by walking through villages and doing cannoning in the river. To finish the day perfectly, We will organize a sunset time for a peaceful and sweaty moment. With many memories in your head, you will leave Chitwan to go back in Kathmandu. Once upon arrival, you will have free time to explore the area, buy some souvenirs, wander in Thamel streets… Enjoy this last time in Nepal.